This response to Mercer’s article explores some additional ways of conceptualizing and treating reactive attachment disorder (RAD). The limitations of the DSM descriptive model are explored and alternate empirically supported models are described. One key limitation is DSM’s one person, medical approach, which fits poorly with issues of attachment that are inherently interpersonal and interactive. Differences by age in the presentation of RAD, and in how it is treated are also addressed. The challenges for parents of children who have RAD are explored, and for clinicians who lack solidly research supported treatments for this disorder. Advocates for Children in Therapy. (n.d.) Victims of attachment therapy and its parenting methods. Retrieved April 28, 2018, from http://www.childrenintherapy.org/victims/victims.html. Pandya, A. (2012). Children with reactive attachment disorder: Building hope for the future. 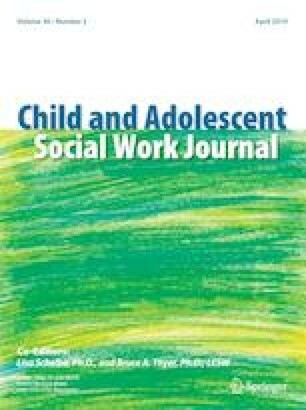 NASW Practice Section in Child Welfare [unpaginated online document]. Retrieved April 28, 2018, from https://www.socialworkers.org/assets/secured/documents/sections/child_welfare/newsletters/2012%20Child%20Welfare%20Newsletter%20-%20Fall_OLD.pdf.